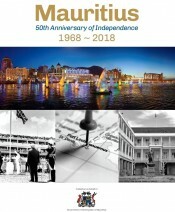 Mauritius, 50th Anniversary of Independence, 1968 ~ 2018, is a special commemorative publication produced to celebrate Mauritius' Golden Jubilee. Published by the Times Group on behalf of the Government of the Republic of Mauritius and the Economic Development Board (EDB) Mauritius, this unique book marks 50 years since Mauritius secured independence from Britain on 12th March 1968 and charts the great strides the nation has made up to the present day, examining its current status and its prospects for the foreseeable future. 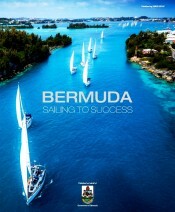 Bermuda - Sailing to Success, produced by the Times Group on behalf of the Government of Bermuda, examines how Bermuda is building on its rich maritime heritage and its position as a premier international business and finance centre, as the Island comes under the international spotlight as host of the 35th America's Cup in 2017. 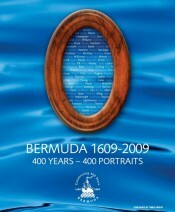 Consisting of over 200 pages in hard and semi-hard back formats, the book illuminates the strengths of Bermuda which have been integral to its selection as the venue for the America's Cup - primarily its long history of sailing and the natural amphitheatre and unique sailing conditions offered by Bermuda's Great Sound - charting the history of competitive sailing in Bermuda, examining its maritime heritage and exploring the legacy of the America's Cup for Bermuda and its implications for the future. 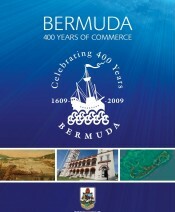 The book also outlines the future plans of the Island's authorities towards reinforcing Bermuda's reputation as one of the world's top tourist destinations and leading international business and finance centre, whilst considering what the legacy of the America’s Cup means for Bermuda in terms of its redevelopment and transformation following major investment and a new strategic vision, as it looks to navigate opportunities now on the horizon. It highlights what draws sailors, tourists, companies and investors from around the world to Bermuda – from its naturally beautiful and unique marine environments, highly successful (re)insurance and captive insurance sectors, through trusts and funds business, to its expanding shipping and aircraft registries – plus new legislation and initiatives set to further enhance the Island’s attractiveness as a welcoming destination and premier port of call for individuals and international business from around the world. Hamilton Bermuda, In Business for 200 Years, 1815 ~ 2015, has been produced by the Times Group on behalf of the Government of Bermuda, to commemorate Hamilton's 200th anniversary as the capital of Bermuda. 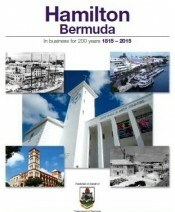 This special commemorative publication – which has formed an integral part of the celebrations of Hamilton’s bicentenary – tells the story of Hamilton, Bermuda and its overseas connections, from its early establishment and designation as the Island's capital, to its recognition today as a leading tourist destination and premier international business and finance centre. It examines the events and individuals that have helped to shape Hamilton and in turn the successful development of Bermuda into the economic powerhouse it is today. 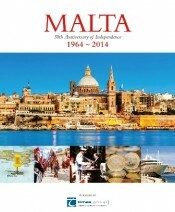 Malta, 50th Anniversary of Independence, 1964 ~ 2014 is a special commemorative publication, produced to celebrate the fiftieth anniversary of Malta’s independence and fortieth anniversary as a Republic. It marks fifty years since Malta secured independence from Britain on 21st September 1964 and charts the great strides that the archipelago has made up to the present day, examining its current economic success and its prospects for the foreseeable future, whilst highlighting the contribution of British-Malta trade. "Congratulations! It is a very fine publication, worthy of your esteemed institution. You have really done an excellent job. The publication is superb in all respects. I really hope I will have the opportunity of collaborating with you once again! Keep up the good work! Best regards!" 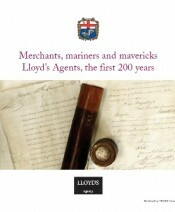 Merchants, mariners and mavericks: Lloyd's Agents, the first 200 years is a special commemorative publication produced on behalf of Lloyd's of London for the bicentenial of Lloyd's Agents. It celebrates the incredible work of Lloyd's Agents around the world and their significant contribution to today's global insurance industry, with Lloyd's of London still very much at its epicentre. This prestigious publication has been produced on behalf of the Government of Bermuda's Ministry of Finance by the Times Group and serves to mark the occasion of the third meeting of the OECD Global Forum on Transparency and Exchange of Information for Tax Purposes on Bermuda, 31st May to 1st June, 2011. 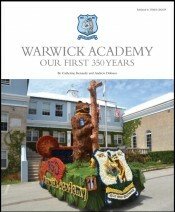 Warwick Academy 350th Anniversary 1662-2012 - published by the Times Group on behalf of Warwick Academy and authored by Andrew Dobson and Catherine Kennedy - is the official commemorative publication marking the Academy’s 350th Anniversary. This special commemorative publication is a lasting testament to the many students, teachers, benefactors and many others who have been involved with this venerable institution over the last 350 years, charting the Academy’s development from 1662 when Hugh Wentworth a Warwick parish tenant tobacco farmer was instructed to “erect atte his own charge a complete schoolhouse of two roomes” as part of his annual rent to the Somers Isles Company. The publication also looks ahead to the Academy's bright future, including a strategic plan and the site monitor plan, designed to set the school fair for the next 350 years. Bermuda Post Office Bicentennial 1812-2012 is a special title produced by the Times Group on behalf of the Bermuda Government Ministry of Economy, Trade and Industry, to commemorate the Bermuda Post Office’s 200th anniversary (see attached letter). 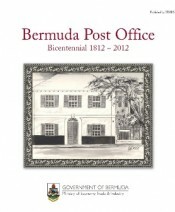 This special commemorative publication – which formed an integral part of the bicentennial celebrations – tells the story of the Postal Service in Bermuda and its overseas connections, from the first unofficial beginnings in the 1780s, to the official establishment of the Bermuda Post Office and its role in Bermuda’s history. 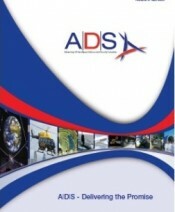 A|D|S ~ Delivering the Promise is the official inaugural publication produced on behalf of ADS by the Times Group on its formation in 2010. Launched at the A|D|S Inauguration Gala Dinner, in London, 26 January 2010, this prestigious publication marks the establishment of the new organisation following the merger of the Association of Police and Public Security Suppliers (APPSS), the Defence Manufacturers Association (DMA) and the Society of British Aerospace Companies (SBAC). Led by messages from government and industry figures, the core content of the book outlines A|D|S strategies for civil aviation, space, defence and security, highlighting the many challenges and opportunities these sectors face and promoting UK standards of excellence and innovation. "The Times Group was given the major task of producing our prestigious launch publication within a very tight deadline for our Gala Dinner at the Hilton, London in January 2010. It was exceedingly important that this publication made the right impression and the Times Group did not disappoint. Indeed, the book exceeded our expectations and we were delighted with the quality of the VIP hard back copies which were very well received. We were particularly impressed with the manner in which they invited our members and other participant to support the publication via the various marketing opportunities the project provided." Bermuda 1609~2009, 400 Years - 400 Portraits has been produced by the Times Group on behalf of The Bermuda 2009 Committee and in association with the Government of Bermuda's Ministry of Culture and Social Rehabilitation, marking Bermuda’s 400th Anniversary of settlement, by honouring and showcasing over 400 of the most influential people that have helped to build and develop Bermuda over the last four centuries. 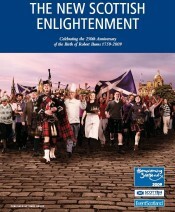 The New Scottish Enlightenment was produced by the Times Group in association with Scottish Development International and EventScotland, as Scotland invited the world to celebrate the 250th anniversary of the birth of Robbie Burns through Homecoming Scotland 2009. It took this point of reflection to not only highlight the Scottish spirit of ingenuity prevalent during the 18th Century period known as the Scottish Enlightenment - and embodied by Scotland's National Bard - but examines how this same spirit has been pivotal in the development of the nation and its transformation into a country that is today enjoying a new era of enlightenment, offering a wealth of exciting business and investment opportunities. "The New Scottish Enlightenment is a fitting publication to mark the 250th Anniversary of the Birth of Robert Burns and Homecoming Scotland 2009. I would like to thank the team at the Times Group. It was a pleasure working with such professional and committed people." "The Times Group has created and produced a first-class book which will help enhance the efforts of Scottish Enterprise and Scottish Development International to promote both Scottish expertise and the wealth of exciting business and investment opportunities Scotland has to offer." Bermuda ~ 400 Years of Commerce was published in association with the Government of Bermuda to celebrate the 400th anniversary of the settlement of Bermuda in 1609, whilst charting how this small Island has developed from a trading and agricultural economy into a premier tourist destination and one of the world’s most important financial centres. 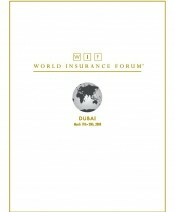 World Insurance Forum Dubai 2008 was published to celebrate the inaugural visit of the World Insurance Forum (WIF) conference to Dubai, serving as a permanent souvenir of an historic event. "We are very proud of the WIF Commemorative Book and many comments were received from delegates, sponsors, and speakers of the event. Your publication outlined the industry very well from the East and West perspective and will in all likelihood be the promotional tool for most of the participating companies to use for their future marketing efforts. I know the DIFC were very proud of the book and will use this as their primary tool for the ongoing development of their insurance and reinsurance division. I personally would like to say that your patience was evident and your ability to respond to our requests was always positive. I enjoyed working with you and will do my best to experience this opportunity again." 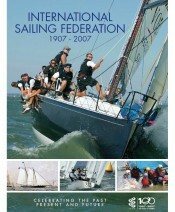 International Sailing Federation, 1907~2007 - Celebrating Past, Present & Future, was published for the ISAF by Times Group in June 2007 to coincide with the ISAF Sailing World Championships in Cascais, Portugal. As the international governing body, ISAF is responsible for the development and promotion of the sport of sailing worldwide. The publication was edited by Barry Pickthall - former yachting correspondent of The Times (UK daily newspaper) who has covered every major round the world race and Olympic regatta since 1973 (including the Americas Cup - and picked up the 1000 award at the 2007 Whyte and Mackay Earls Court Boat Show for the editor's piece on Disabled Sailing. "The Centenary of the International Sailing Federation is an historic anniversary in the world of sailing. With the expertise of the Times Group, the ISAF Centenary magazine has not only been the perfect tribute to our past, but captured the essence of the incredible organisation ISAF is today and our aspirations for the future. This publication has been distributed across the world and will be a lasting testimonial for many years to come; for this we thank the Times Group and the dedication of their professional team." 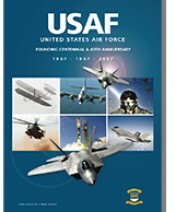 United States Air Force Founding Centennial & 60th Anniversary 1907~1947~2007 is a special commemorative publication marking the founding of America’s Air Force a century ago and the sixtieth anniversary of the United States Air Force (USAF) as an independent armed service. "A heartfelt thank you to you and the Times Group for the USAF Anniversary book. To say it is spectacular is an understatement! We are flattered that you would include the Air Force Aid Society so prominently as part of this great effort. I have already given copies to the President and members of our Board and your work has made me a hero. Perhaps the best measure is that our entire staff has been clamoring for a copy! Support like this for a charity is hard to come by, so please know that we are very grateful for the outstanding work of you and the Times Group. The next time you're in our area, please give us the opportunity to show you a bit more about what we do, and say thank you in person!" "Thank you again. Your entire team did an excellent job and I think the product was exceptional. Thank you for providing me a copy. As I said, I have already wrapped it in plastic and will cherish it for years to come." Guernsey - The symbol of international finance, is a prestigious publication produced on behalf of Guernsey Finance by the Times Group to provide a review of recent changes to Guernsey's fiscal environment and its development as one of the world's leading international finance centres and Europe's top captives jurisdiction. 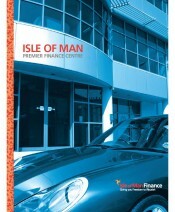 Isle of Man ~ Premier Finance Centre was produced on behalf of Isle of Man Finance by the Times Group (in June 2008) to provide comprehensive coverage of the impact of regulatory and legislative changes taking place on the Isle of Man, tracing the development of the Island's finance sector and the factors that have helped secure the Island's position as one of the worlds most highly regarded offshore financial centres. "We would like to acknowledge the hard work and dedication of the Times Group, and especially Kevin Sammon, Wayne Fessey and Stephen Smith, who have provided an excellent document regarding this beautiful and business friendly Island." Middle East Aviation - Past, Present & Future, Celebrating the 10th Dubai Airshow was published by Times Group on behalf of Fairs & Exhibitions - in association with the Department of Civil Aviation, the Government of Dubai and in collaboration with the UAE Armed Forces - to mark the 10th Anniversary of the Dubai Airshow and highlight the phenomenal success of aviation and the aerospace sector across the Middle East. "This looks an excellent publication. I am impressed with the design and very much looking forward to reading it." 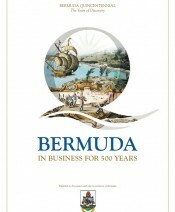 Bermuda ~ In Business for 500 Years was published with the support of - and in association with - the Government of Bermuda and the Bermuda Quincentennial Committee. It was published to commemorate the 500th anniversary of the discovery of the island, and celebrated the extraordinary transformation from outpost of the British empire, into tourist destination for snow-weary northerners, and now, the worlds premier offshore financial services centre. "I just got back to Bermuda and received my copy of the 500 Years book. It is one of the very best-looking books I have ever worked on and I can't congratulate you highly enough. I think it's absolutely brilliant. I'm really proud to have been part of it." "I wish to thank the Times Group for their vision and foresight with respect to this publication. Their tireless efforts have produced a timeless creation that will be shared for generations to come." "I would like to congratulate you and your team. I have just received a copy of the publication which is stellar! We thank you for providing us the opportunity to participate in the project. We would definitely like to continue to collaborate with you and the Times Group in future." "Bermuda - In Business for 500 Years is beautiful and outstanding. The book is well organised and put together with great and interesting Bermuda history." "We have recently received this very impressive book both in paperback and hardback - thank you." 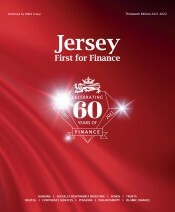 Jersey ~ First for Finance is published on behalf of Jersey Finance Ltd., to provide comprehensive coverage of the major issues and developments pertaining to Jersey’s finance industry. 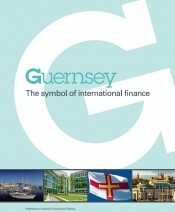 Now in its 10th Edition, it features informed comment from leading experts and recognised authorities, examining Jersey’s fiscal infrastructure, its role in international finance and the breadth of its banking, funds, wealth management and support services, which attract those requiring a well regulated jurisdiction with a range of financial benefits, in a secure offshore location close to Europe. "The TIMES Group played a key role in enabling Jersey Finance to deliver the first ever coffee-table book focusing exclusively on the Finance Industry in Jersey. The result is a high quality publication befitting Jersey�s high quality standing, & we would like to thank The TIMES Group for their cooperation and hard work in understanding our requirements and for making Jersey ~ First for Finance possible." "Many thanks for the books. 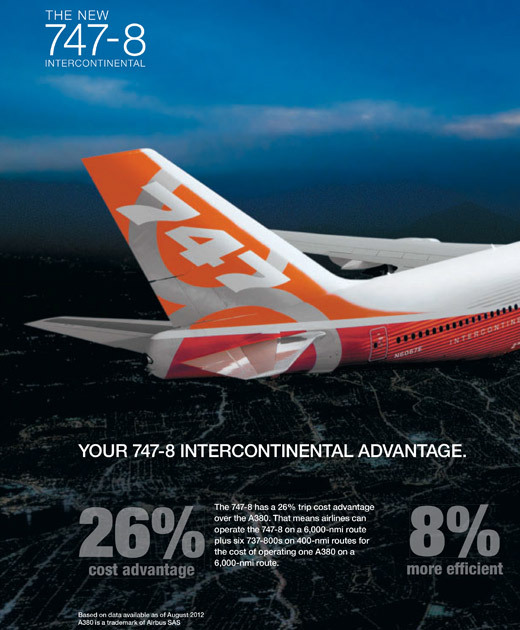 This edition once again looks great and we are very pleased to have partnered with you." 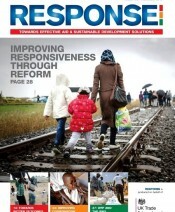 RESPONSE is published by the TIMES Group on behalf of UK Trade & Investment (UKTI), focused on key issues relating to aid response and the latest systems and new, innovative ideas for cost-efficient disaster response, aid and sustainable development solutions. It aims to encourage more efficient disaster preparedness and relief activities and improved aid and sustainable development solutions, highlighting the UK’s role in delivering humanitarian aid and securing sustainable development with international partners, worldwide. 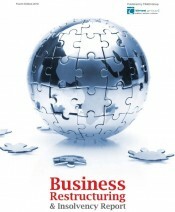 Business Bermuda Review - published annually on behalf of Business Bermuda by the Times Group - presents the aims, activities and future strategies of Business Bermuda, whilst highlighting the Island’s many facets as an international business and finance centre. 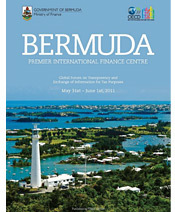 Featuring informed comment from Bermuda’s leading business figures, regulators, finance professionals and fiduciaries, the publication addresses current issues impacting upon the Island’s business and finance community, focusing on its fiscal environment, regulatory and legislative structure, as well as new strategies - including educational and training schemes - that will further Bermuda's economic development. 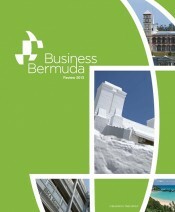 The Review examines just why the Island is considered the jurisdiction of choice for corporate and individual investors worldwide, outlining Bermuda’s unique capabilities, the breadth of its wealth management, (re)insurance and professional support services, its role in international finance and its drive to develop quality business in new and existing markets. 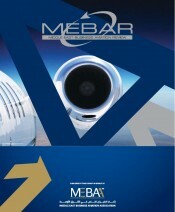 Middle East Business Aviation Review (MEBAR) is the official annual publication for the Middle East Business Aviation Association (MEBAA), which was launched in November 2008 and reviews the key issues and developments across the business aviation sector in the Middle East & North Africa. "I'm sorry I missed you at MEBA but I had an opportunity to have a look at your publication during the show. I would like to extend my congratulations to you for a quality and very professional publication and to thank you for your help in sending us some additional copies to distribute to our customers." "Thank you once again for my copy of MEBAR 2009. This certainly is a most striking publication that not only looks and feels one of quality from the front cover but proves that it is once you open it! Then the experience of reading a review of quality continues through to the back cover. Well done. Your only problem will be trying to match or surpass it next year but that is where your creativity will surely kick in again! 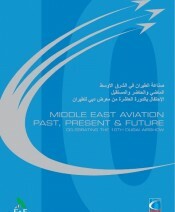 I imagine that having acquired a good feel of the market through your involvement with the Middle East Aviation - Past Present & Future that celebrated the 10th Dubai Airshow in 2007, and now MEBAR, the new Arabian Aerospace magazine that The Times Group are to launch will be a great success, given the comprehensive content you are planning that will reach right across the aviation market in the region." The Business Restructuring & Insolvency Report analyses the ongoing changes in insolvency and restructuring within the global market through a series of in-depth and informative chapters contributed by leading market professionals. The Report includes the latest innovations, data, developments and trends within the global field of corporate restructuring, insolvency and distressed debt, turnaround management, performance improvement, bankruptcies, special situations and much more and will serve as an up-to-date information guide to this sector, reporting on international developments as well as offering domestic and industry specific analysis. 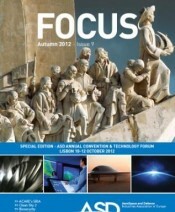 FOCUS is the official bi-annual Aerospace and Defence Industries Association of Europe (ASD) magazine, produced for ASD by the Times Group. ASD supports the interests of its membership of national aerospace, defence and security associations from 20 European countries - which represent 2,000 companies including leading European manufacturers, systems integrators and suppliers - promoting business and trade relations integration across the European aeronautics, space, defence and security industries and helping enhance European cooperation in developing salient solutions that meet future civil and military requirements within Europe and worldwide. 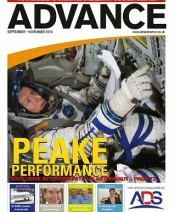 ADVANCE is the official magazine produced by the Times Group for ADS - the trade organisation advancing UK Aerospace, Defence, Security and Space industries - which is complemented by an online daily news service and a weekly newsletter. "In 2011 The Times Group were awarded the task of producing our new Member publication based on a high quality competitive tender bid. Against a very tight deadline to launch at DSEi 2011 the team delivered the 1st Issue on time and exceeded our expectation by launching a supporting ADVANCE news website. As we approach our 6th Issue to round off 2012 in December, ADS is pleased to be entering into partnership with Times Group to continue to develop and deliver ADVANCE for the long term on behalf of our Members. Anyone who has been following the development of ADVANCE will note it taking a distinctive style in representing our Sectors and Industry, making it an interesting quality read. ADS is delighted to be working with the team of professionals at Times Group and we look forward to a long and enduring successful partnership." 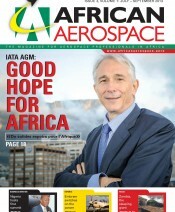 African Aerospace is a new daily online news service for the African Continent with a weekly newsletter and a quarterly magazine launched January 2013. Arabian Aerospace is now in its sixth year of publishing, having rapidly achieved its target of becoming the premier title for the entire aerospace industry across the Middle East, North Africa and Turkey. "I would also take this opportunity to congratulate you and the team at Arabian Aerospace for a fantastic first edition!" "I am impressed with the first edition of your Magazine and am looking forward in supporting Arabian Aerospace in the future." "Wow, 100 pages it's a virtual book. I just wanted to say congratulations to you and your team, I have spent over an hour reading your launch issue, I have gathered some key info for our training event, new contacts for some of the regional airlines and I really enjoyed the layout. Separated by section is very useful, liked the layout of the contents page and the business brief, quality of the paper especially the covers and the overall photography." "It's Saturday morning, the post was delivered about two hours ago and I have just spent the last hour reading Arabian Aerospace magazine. Not something, you understand, I would normally do on a Saturday. I have to say many, many congratulations, it is an excellent publication, bloody good magazine! The layout is beautifully clear and I find the text is much easier to read than my local newspaper. And the subject matter is more interesting. Once again, many, many congratulations, I hope the magazine is a huge success for you."